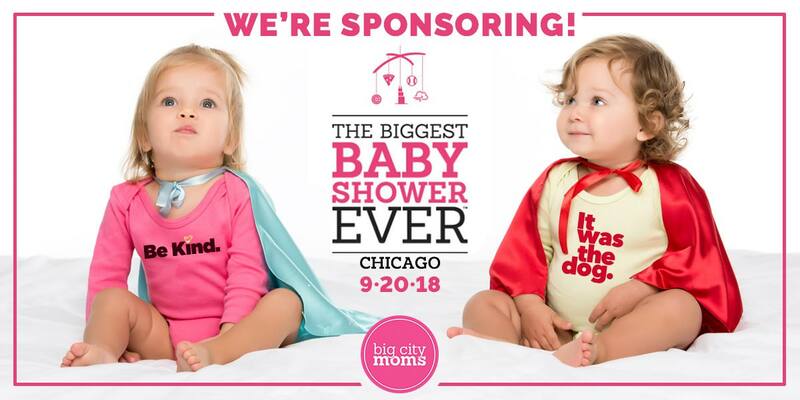 We are excited to announce: sass&chic will be a sponsor at this year’s 3rd Annual THE BIGGEST BABY SHOWER EVER event in Chicago, hosted by BigCityMoms. We’ve been busy creating NEW designs to add to our current collection. We’ll be including including new wearable expressions for the holidays, sports and more! We currently have more than 70 fabulous baby gift items and we’ll be ready to “show and sell” the night of the event. Many of the biggest name brands you know will be there. You’ll find everything you need, want, and love for you and your new baby. We are honored to sponsor amongst this great group, featuring our collection of sassy and chic artistic wearable expressions. As featured in Glamour, ENews, Daily Mall, Today Show, ABC News, US Weekly, GMA, Fit Pregnancy, and Access Hollywood, THE BIGGEST BABY SHOWER EVER is a fantastic event so be sure to reserve your spot, today! You won’t want to miss participating in this truly epic showcase arranged just for you! Check Out What We’ve Got! Browse our current selections in advance to familiarize yourself with our designs, and make a note of the items you “must have”. They are great for your own baby, gifts for other new parents, a friend or family member with a baby or toddler. Have fun trying to decide just how many of our designs you’ll be walking away with (we bet it’s more than one)! We hope you’re as excited as we are and can’t wait to see and meet you in person on September 20. In addition to showing off our collection at the Biggest Shower Ever event, we’d love to hear from you! Share any sassy and chic expressions you have.